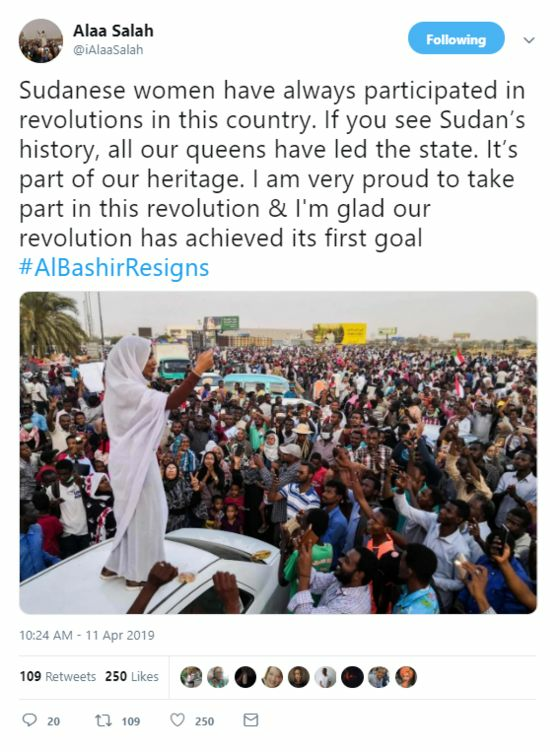 With the military in Sudan surrounding his presidential palace, reports of Omar al-Bashir’s ouster are something few imagined when increases in bread prices triggered nationwide protests in December that never stopped. For the ailing Abdelaziz Bouteflika in Algeria, the spark was his attempt to extend his two-decade rule. While Bouteflika was seen as a bulwark against Islamist militants, al-Bashir – who for a time hosted Osama bin Laden and was indicted by the International Criminal Court for alleged war crimes – had of late become an ally of Saudi Arabia, sending troops to aid its brutal war in Yemen. In both cases, patience snapped inside youthful populations fed up with falling living standards and few prospects in the oil-producing nations. Images of hundreds of thousands of protesters in the Sudanese and Algerian capitals recalled the first Arab Spring almost nine years ago when social-media-savvy activists ignited popular revolts in Tunisia and Egypt. The celebrations may be short-lived, as Egypt showed. While the protests ousted the old regime, they may lead to a more brutal one: military rule. JUST IN: London police arrested WikiLeaks founder Julian Assange this morning after Ecuador withdrew diplomatic asylum from the Australian who’s been linked to leaks of U.S. government secrets. Halloween horror | Theresa May accepted the European Union’s offer to extend Brexit to Oct. 31, staving off the risk of a potentially chaotic no-deal split. But it leaves the British premier in a precarious position, no closer to getting her divorce deal ratified in Parliament as her Conservative Party rapidly loses patience in her leadership. The new deadline immediately after the U.K. political convention season is particularly fraught, with rivals lining up to showcase their Brexit credentials. Immigration infighting | President Donald Trump’s purge of U.S. immigration agencies is drawing a backlash from Republican lawmakers and exposing an ideological divide within the party. Hard-liners, led by White House senior adviser Stephen Miller, want swift action to reduce illegal border crossings. Senate Republicans are alarmed by the absence of any clear strategy. The personnel and policy turmoil muddies what Trump has said will be a central 2020 campaign issue. Indonesia unrest | The former special forces commander taking on President Joko Widodo in next week’s election has vowed to tap into a “tsunami” of discontent he says is building across the country. As Karlis Salna and Arys Aditya report, Prabowo Subianto has challenged tens of thousands of supporters at rallies to reject the April 17 result if the president wins a second five-year term, setting the stage for a disputed poll and possible mass protests. Small-scale donors | The money race in the 2020 Democratic presidential primary is more Walmart than Tiffany so far. The biggest war chests mostly have been amassed in increments of $200 or less, and primarily online, Bill Allison and John McCormick report. Candidates are making a virtue of the modesty of their average donation -- as low as $20 -- while swearing off deep-pocketed donors, who are increasingly a liability with their base. Disputed record | After promising better days, it seems Prime Minister Narendra Modi's “New India” is yet to emerge. Critics argue he’s increased social tensions and eroded democratic institutions. Supporters say he’s turned the country into a global power with a strong economy. The data – crunched by Bloomberg for the seven-phase election that began today – presents a mixed picture. Still, India’s 900 million voters will deliver the only assessment that matters. Results are due May 23. Join us on WhatsApp for special coverage of India's election. You’ll get the latest news, plus exclusive insight and analysis from our reporters. Sign up here. A fresh warning from Kim Jong Un -- coming just as South Korea’s Moon Jae-in arrived in Washington to meet with Trump -- has placed new urgency on the allies’ efforts to restart nuclear talks. Prime Minister Scott Morrison has called Australia’s election for May 18, with polls showing he faces an uphill battle to beat the left-leaning opposition Labor party. With the IMF's spring meetings getting under way in Washington, a leader of the fund warned that Trump's calls for the Fed to forgo future interest rate hikes could have “dangerous” consequences for the U.S. economy. 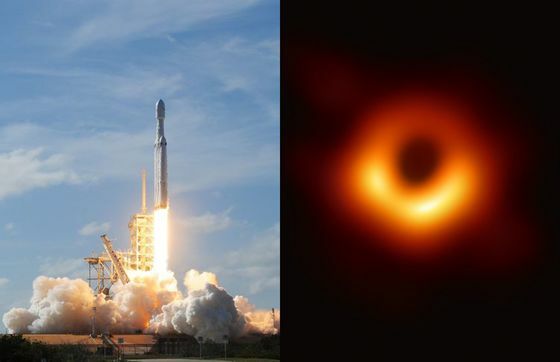 And finally…While the first-ever image of a black hole is dominating global imaginations, Elon Musk’s SpaceX is preparing for the first paying customer on its Falcon Heavy rocket after blasting his Tesla roadster into orbit on its test launch last year. The heavy-lift reusable launcher will carry a payload for Saudi Arabia’s Arabsat, a satellite services provider, as early as today from NASA’s Kennedy Space Center in Florida. The Tesla and its dummy driver Starman are currently more than 219 million miles from Earth, according to this tracking website.